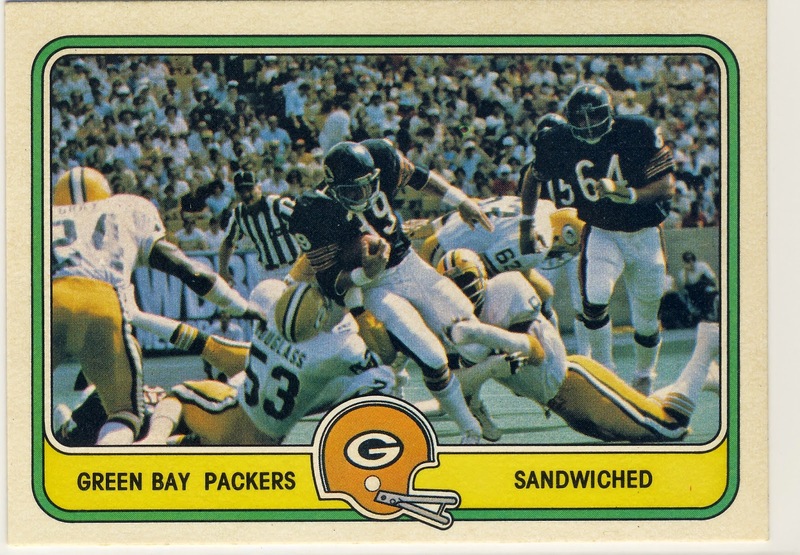 but the defensive card combines two of my favorite things, Packers and Sandwiches to make an all-time great card of the Green and Gold. Here's the reverse of each card. 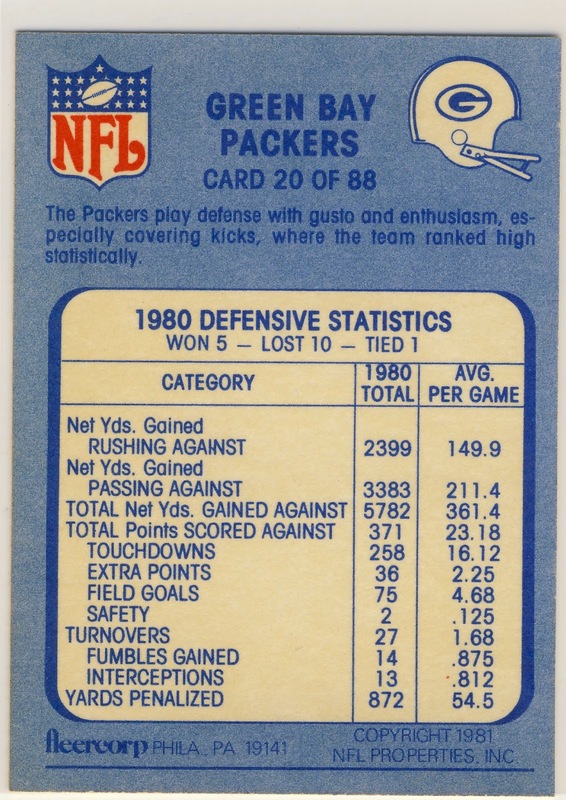 So many great stats like the Packers kicked 24 extra points during the 1980 season or that the defense gave up 75 field goals over the course of the season. That averages out to more than four and a half field goals per game which seems insane right? 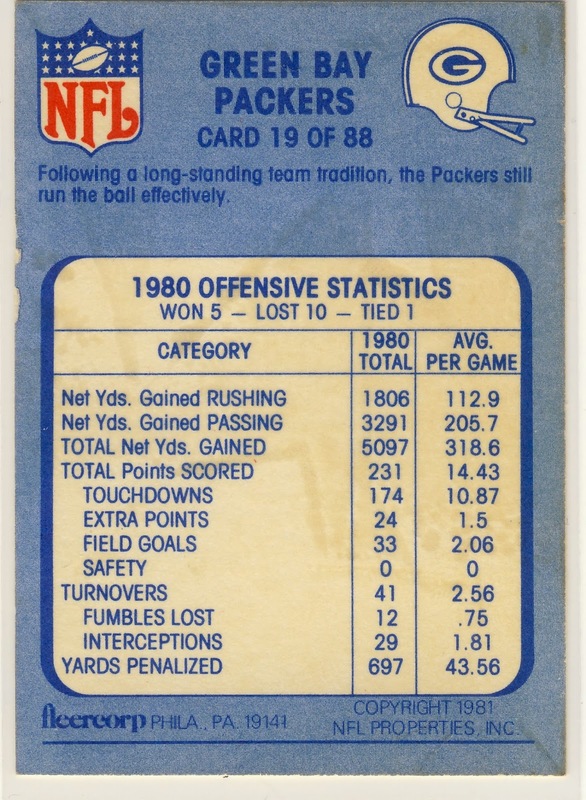 That was a VERY bad Packers team...one of the first that I really remember. 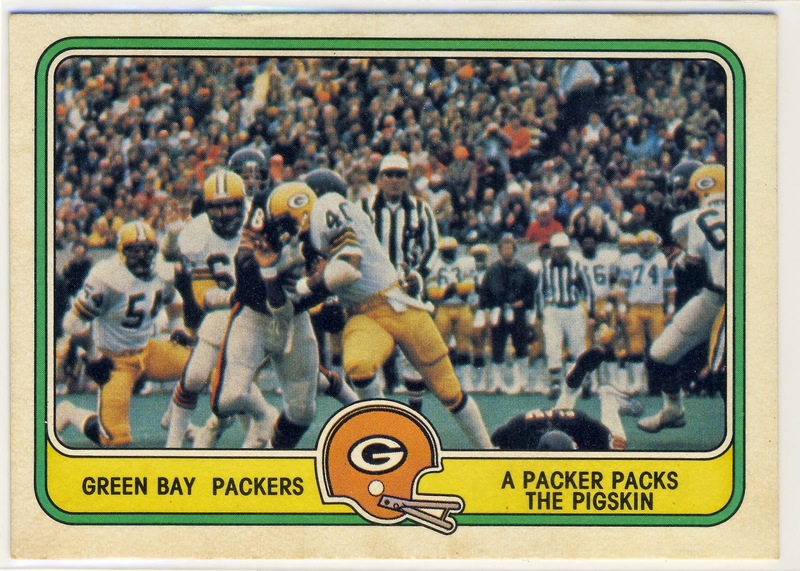 In fact, I remember listening on a transistor radio during our church's Christmas pageant preparations on a Sunday afternoon in December when the Packers got absolutely annihilated by the Bears by a score of 61-7. Best part about those cards? Take an image from a game in 2014, run it thru a filter to soften the look and you could plunk it in the set and no one would be the wiser. Classic look for both teams.